Day One of the 2018 Qatar Classic featured sixteen Round One matches at the Khalifa International Tennis & Squash Complex as the second PSA Platinum event of the season got under way in Doha. With all of the seeded players receiving byes, the race was on to see who would join them in round two of the new PSA 48-player draw format. There was home interest in three matches, including the opening exchange on the glass court which saw Hong Kong’s Yip Tsz Fung the first man through as he despatched wildcard Syed Azlan Amjad. 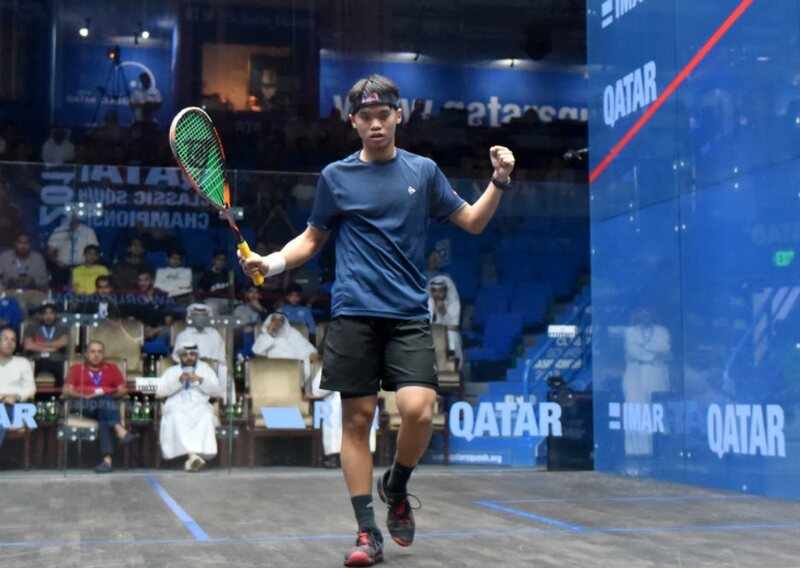 Later in the day Cameron Pilley beat second wildcard Abdulrahman Al-Malki, leaving the stage for Qatar’s number one Abdulla al Tamimi. The pressure seemed to tell on the home favourite, who was outplayed for the most part by Malaysia’s former World Junior Champion Eain Yow Ng, with the Qatari’s error count far too high in the opening and closing games as Ng won in four. Elsewhere there were a number of tough five-game encounters which saw Scotland’s Greg Lobban and Mexico’s Cesar Salazar save match balls on their way to claiming their seeded positions. Egypt’s Karim Ali Fathi and English duo Adrian Waller and George Parker were the other upset winners, Fathi despatching Greg March in three, Waller beating Scotland’s Alan Clyne by the same scoreline, and Parker getting the better of Kiwi Campbell Grayson in four games. Round Two is split over two days, all matches on the Glass Court with the top half of the draw on Sunday.